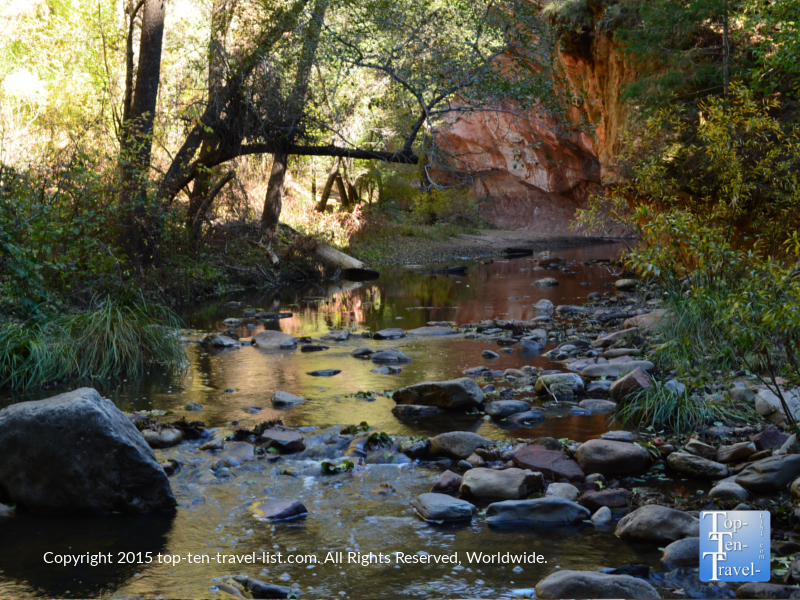 13 Creek Crossings Along Sedona's Magnificent West Fork Trail - Top Ten Travel Blog | Our experiences traveling throughout the US. 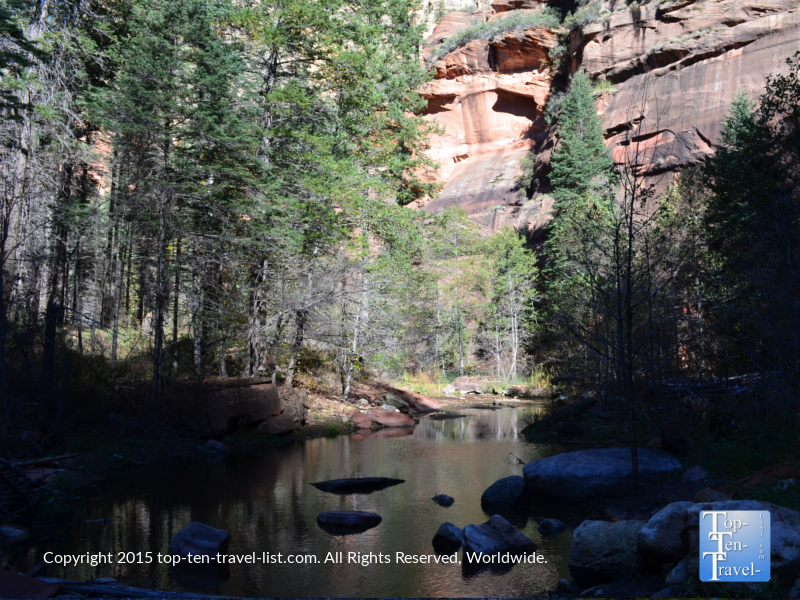 Gorgeous views of Sedona’s red rocks, 13 fun and challenging streams to cross, and a diverse variety of trees (many of which turn a brilliant gold and red hue during the fall season), make the West Fork trail the most popular hiking choice within the Coconino County National Forest. 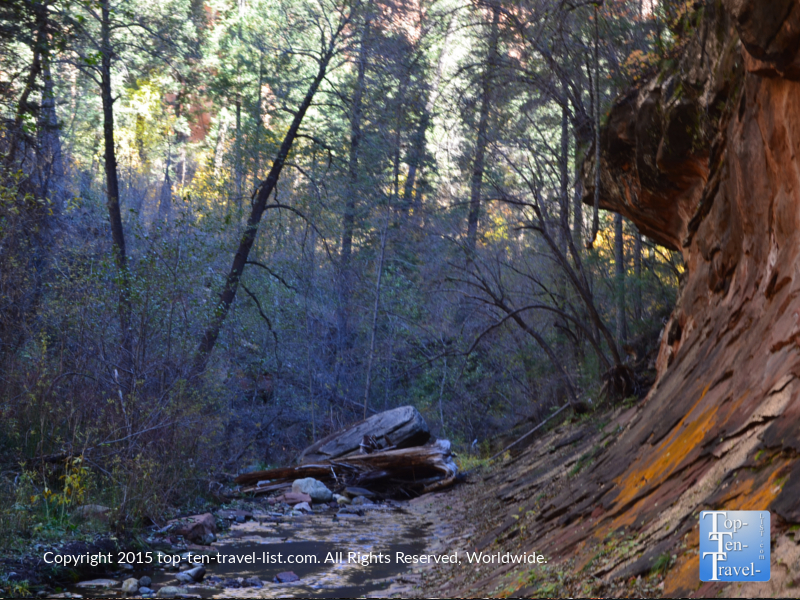 There are dozens of fantastic trails to enjoy in the Sedona area, although West Fork, located along the heavily treed Oak Creek Canyon, is known as the prime fall hike in the area due to the many deciduous trees. The hike has a very New Englandish feel due to the abundant water and dense trees, making it a great choice for anyone homesick or missing the traditional fall feeling back east. 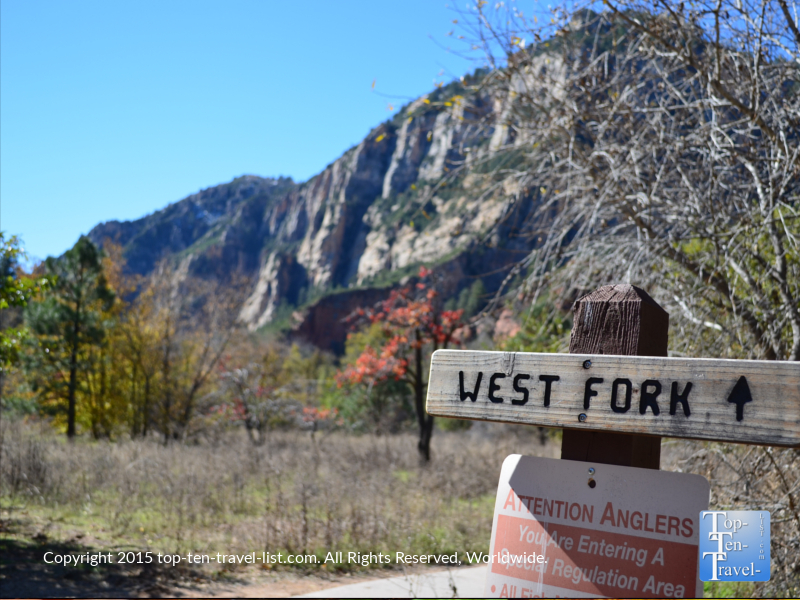 Although not as spectacular as the fall foliage hikes found around Flagstaff (Inner Basin, Aspen Nature Loop, and Veit Springs to name a few), West Fork is definitely worthy of a visit. Just be sure to get here early and/or visit on a weekday if possible as it is tends to get extremely crowded on weekends, so much so that there is often a lengthy wait to park! 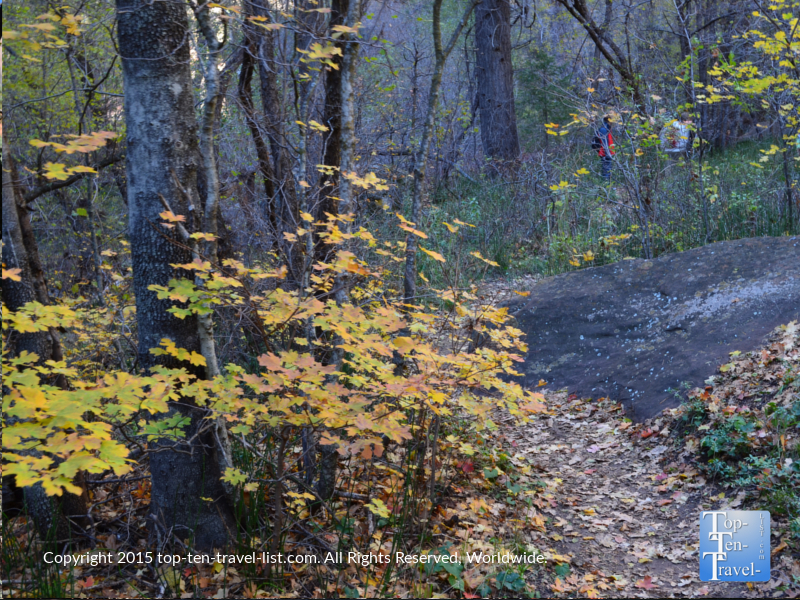 The trail is most crowded in the summer, spring, and fall, particularly during the peak foliage season. 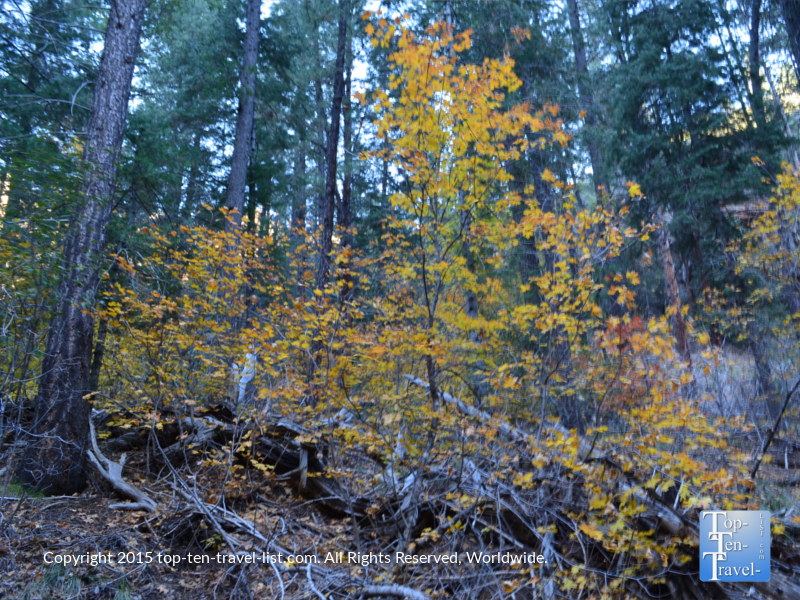 If you plan your visit in the fall months, you will get to see a bit of color though nothing as dramatic as the bright yellow aspens found in the higher elevations of neighboring Flagstaff. Take a look at a bit of the color you may find at the end of the fall season! Even if your visit falls outside of the peak season, the leaves scattered amongst the trails give the hike a real fall feeling! 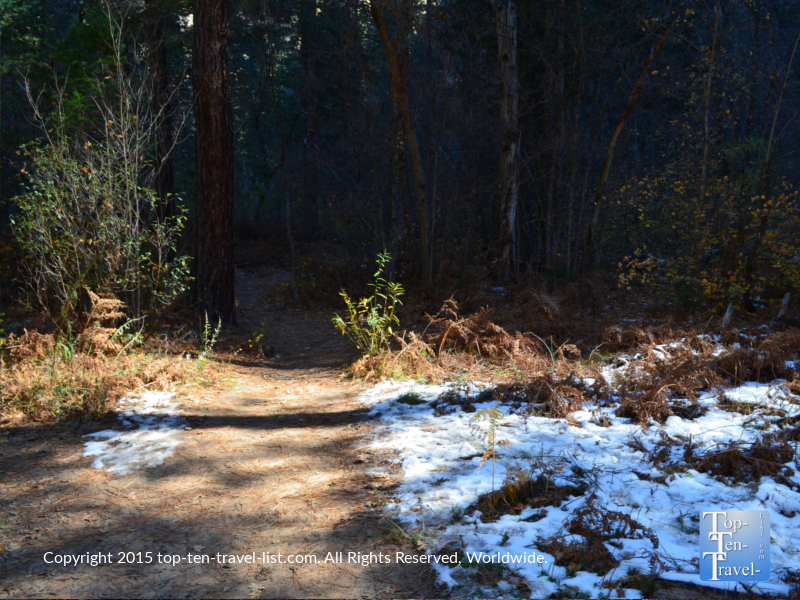 The marked trail is about 3.3 miles each way, making your total mileage approximately 6.6. 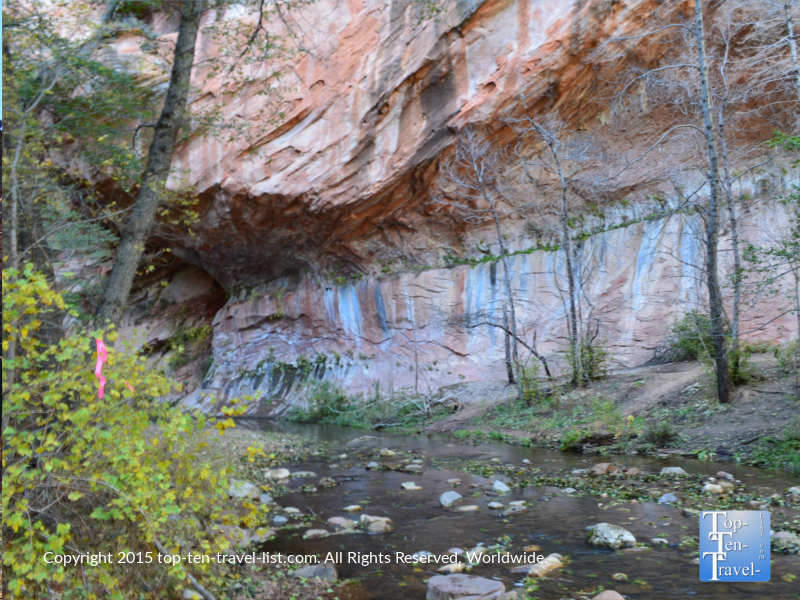 You can go on further if you wish (another several miles will lead you into the Red Rock-Secret Mountain Wilderness), although the hike becomes more strenuous and involves walking through water. Whether you choose to turn around or continue on, be sure you set out early enough in the day. Although a totally flat 6 mile hike may seem easy, those 13 stream crossing really add up (and tend to get backed up on busy weekend afternoons). On a Sunday afternoon, this 6.6 mile hike took us over 3 hours! 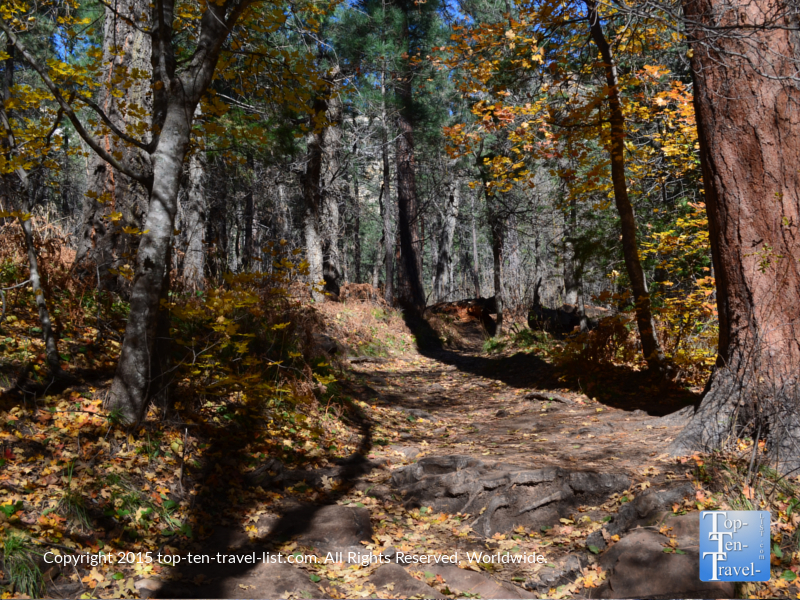 Despite the distance, the lower elevation and flat landscape was a welcome leisurely change compared to the very high altitude and often hilly terrain found on most Flagstaff trails. 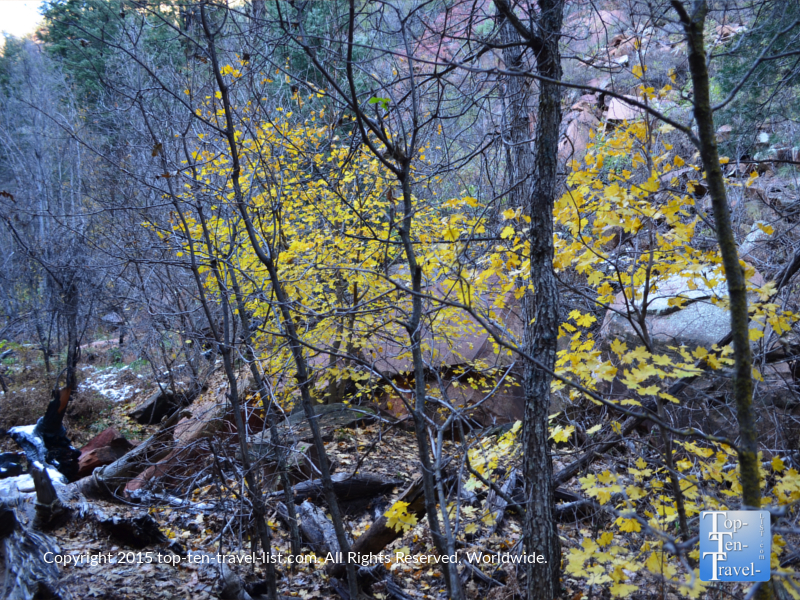 Additionally, it was nice to see some leafy trees as opposed to just aspens. The creek crossings are really fun: slightly challenging, yet nothing too dramatic. There are logs and rocks strategically placed to help you make it across. A stick also comes in handy for extra balance. The maintained trail ends at stream 13, so you can easily keep track of your distance by counting each of the crossings (although I do recommend a GPS sports watch, especially the Garmin Forerunner!). 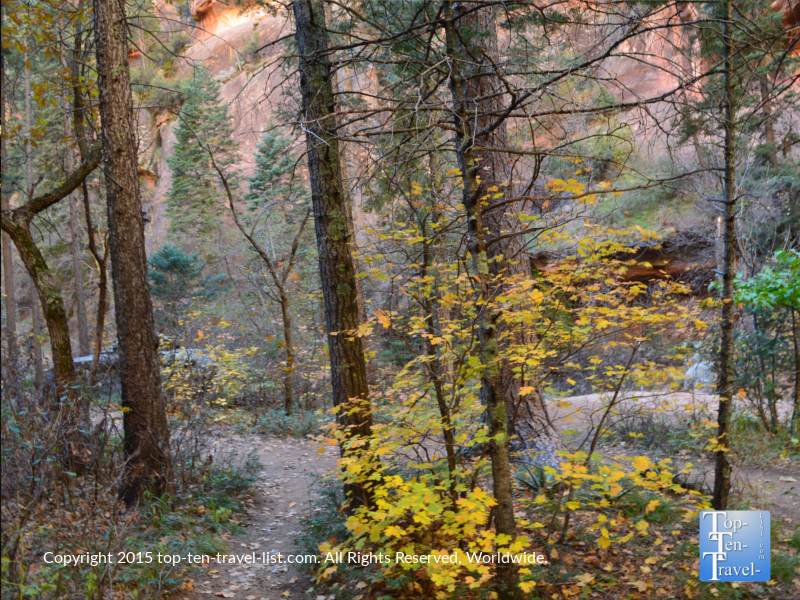 Anytime of the year is a great time to check out this stunning trail. 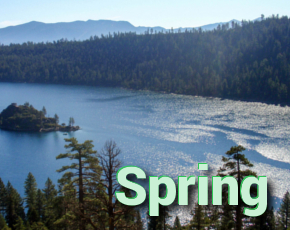 In the summer, you will get to watch all different types of birds and maybe even spot some wildlife (bobcats, deer, black bear, snakes, and spiders have all been reported). 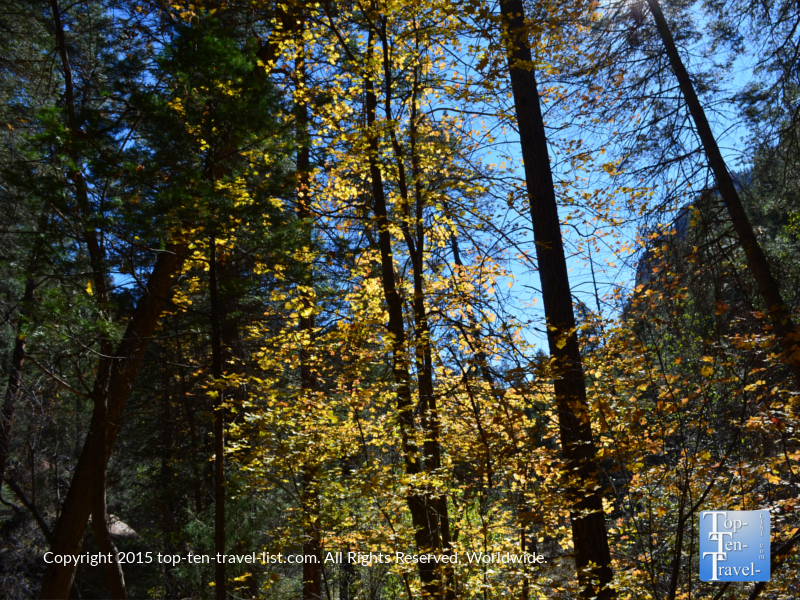 During the fall season, the trail comes alive with bright yellow, orange, and red foliage and pretty leaves cover the trails giving it a great autumn atmosphere. And during the winter season, you will enjoy fewer crowds and views of the mountains covered with icicles and snow. During our early November hike, we were able to see a bit of snow on the higher mountains and a few remaining snow patches (from the huge storm a few days prior) along the trail. We saw no wildlife despite the many bear warning signs at the start. I would assume this trail is way too busy during the fall to ever see any wildlife! 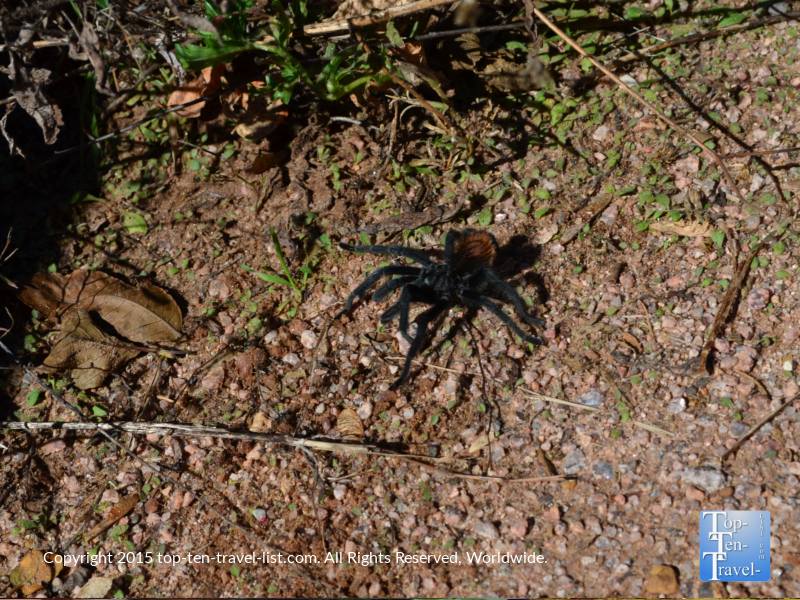 We did however spot a tarantula right on the trail! 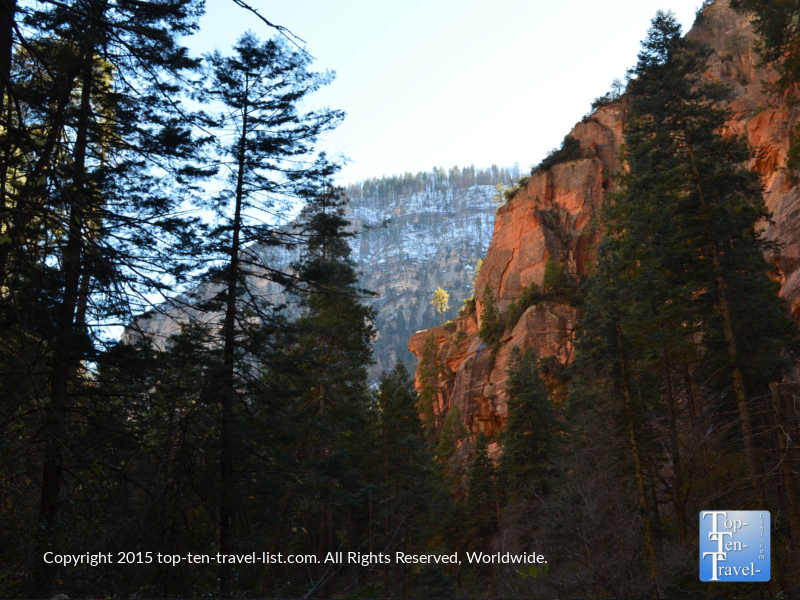 This hike is filled with endless beautiful views of the red rocks, creeks, and of course, a beautiful mix of pines and deciduous trees. 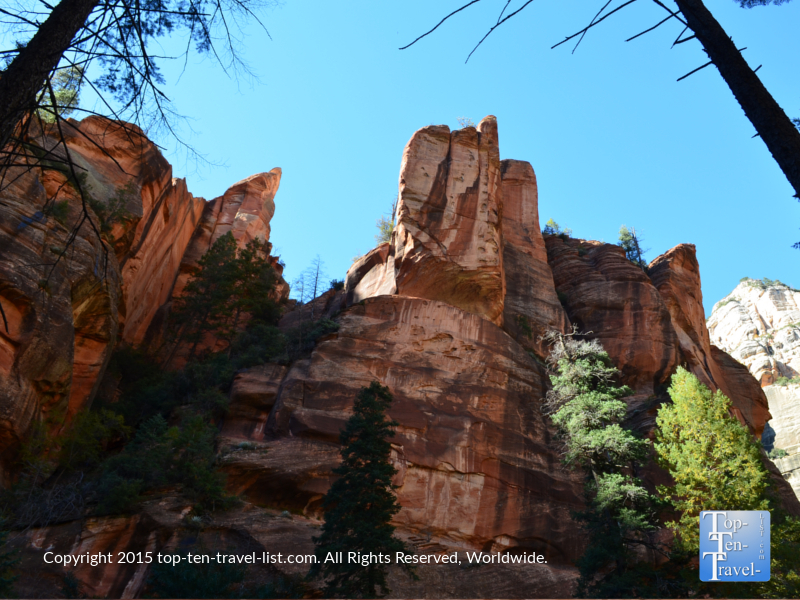 Even though the hike takes several hours, it feels shorter as you are so absorbed in the incredible scenery. Although our trip was a bit late for peak foliage (we timed it at the right time, unfortunately, an early winter storm knocked out most of the foliage a few days earlier), we enjoyed the peaceful, easy trek through nature. As one of the only hikes in the area with leafy trees and water views, the West Fork definitely earns a place amongst the top hikes in the region. *Plan your time accordingly. This is a long hike time wise (at least 2.5-3hours). Don’t set out too late in the day, especially during the fall/winter months. Bring water and hydrate yourself frequently. Also bring a few light snacks. *Take it easy/drink extra water if you are not used to the high elevation. While not as high as Flagstaff, at over 5000ft, it can still come feel tough for those visiting from a low elevation. 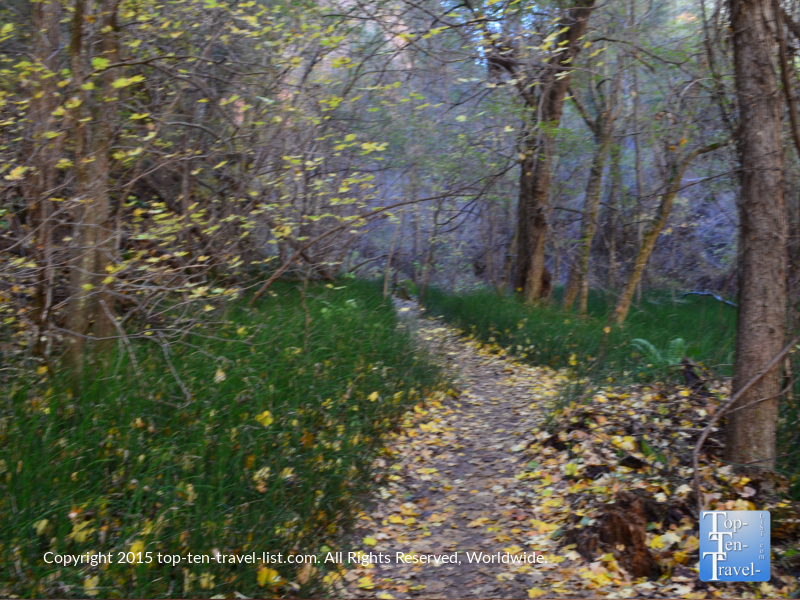 *Wear waterproof hiking shoes or boots as you will be crossing many streams. At a few points, your feet may get a bit wet if you happen to miss a rock or lose your balance. 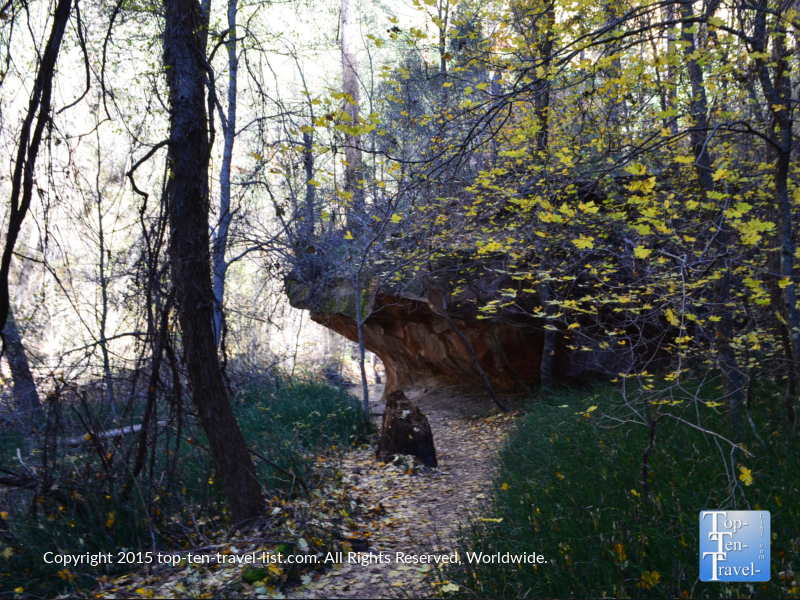 *Plan your hike for a weekday morning for the fewest crowds, or during the off-season if possible. *Bring with a hiking stick – it comes in handy for extra balance when crossing the streams. *Don’t forget your camera – there are dozens of fantastic photo opportunities! 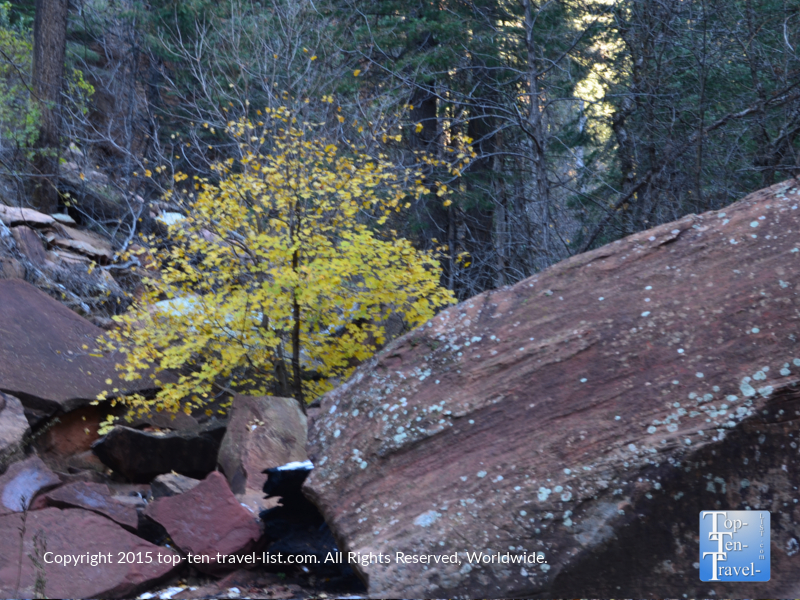 *Although great in the fall, there are many more spectacular hikes in Flagstaff. 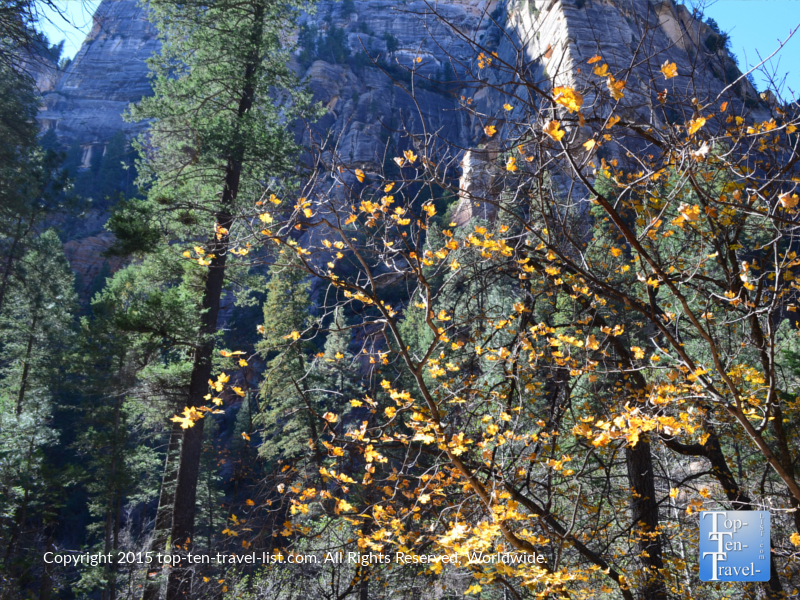 West Fork is much too crowded in the fall and the colors just do not compare to Snowbowl or Inner Basin. 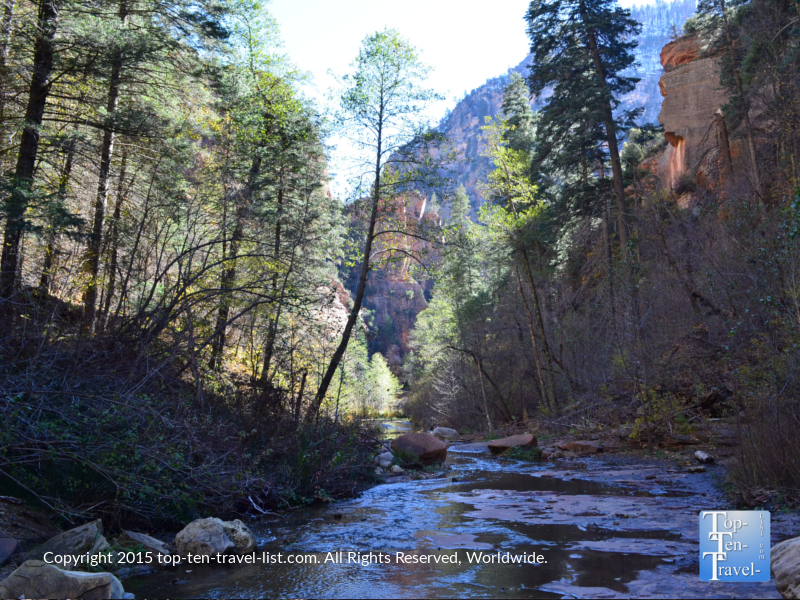 Instead, plan your West Fork hike in spring or summer for fantastic views without the insane crowds! 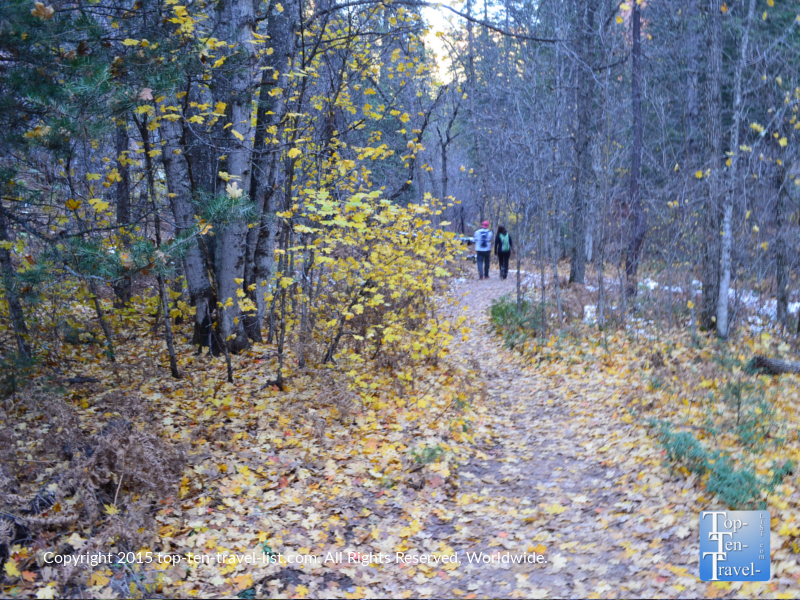 Save the fall hikes for Flagstaff! *Wear capri workout pants or shorts. Long pants may cause you to trip over the stepping stones when crossing the streams and will likely get wet if they drag at all on the ground. I had to roll my pants up each time we got to a creek, which was pretty inconvenient and time consuming. *It can get chilly during the fall and winter season, so be sure to check the forecast and wear layers! In mid-late October, daytime highs usually range from the mid 60’s-mid 70’s. However, daily lows can drop as low as the 40’s. 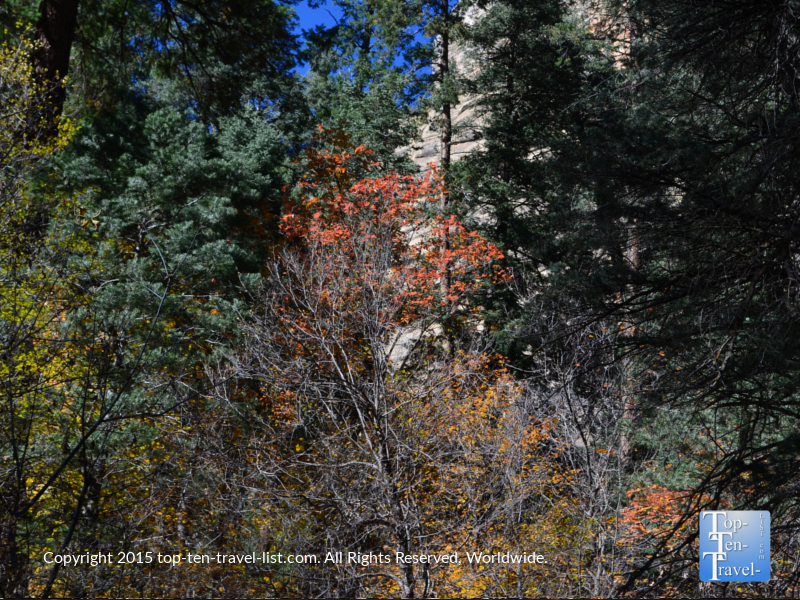 *Fall colors typically arrive a little later than Flagstaff, usually mid to late October. 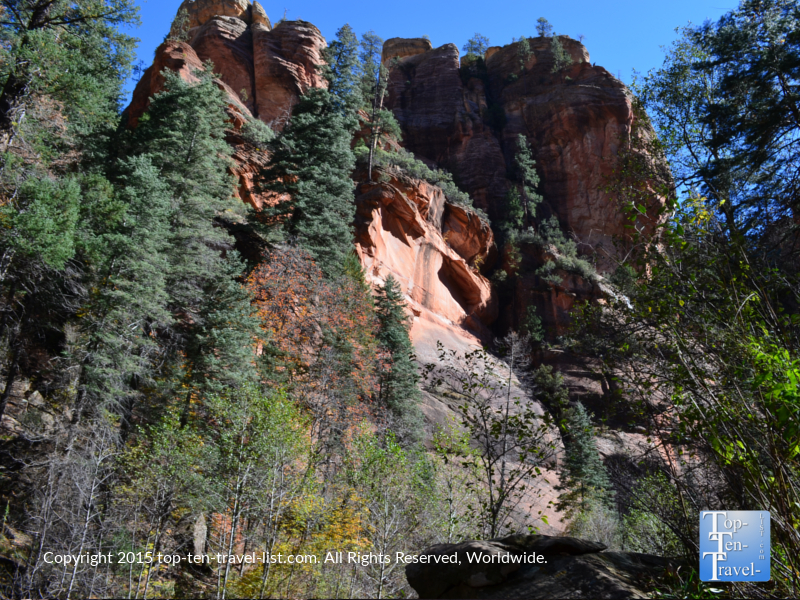 Check the Coconino County National Forest website for detailed updates throughout the month of October. *Consider stopping for a light meal before your hike. This will give you some extra energy for the 3 hour journey. I recommend Indian Gardens, conveniently located right on the route. 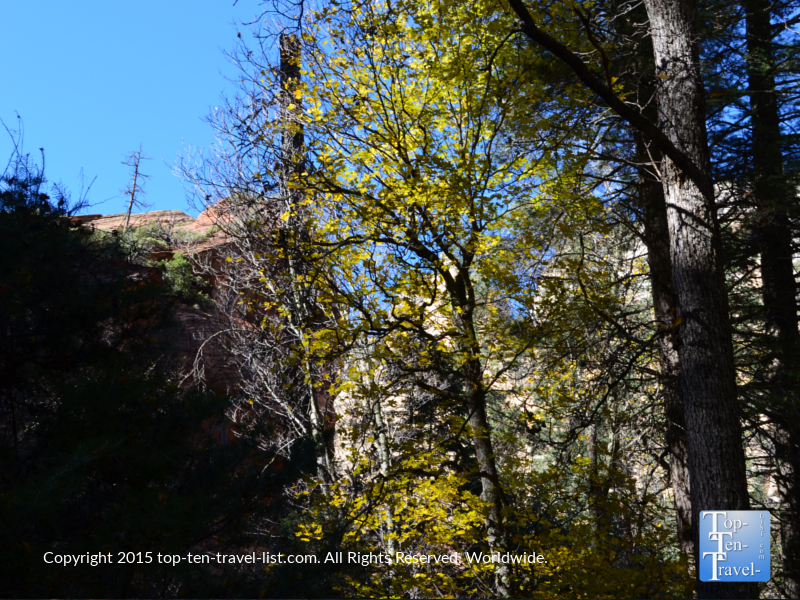 To get to the West Fork Trail, you will drive south about 17 miles from Flagstaff or north about 9 miles from Sedona to halfway between milepost 385 and 384. Right to the side of the road, you will see the parking lot for the trail. Most of the times you will see many cars lined up by the admission gate, so the odds of passing right by are very slim! There is a $10 per vehicle fee to park. 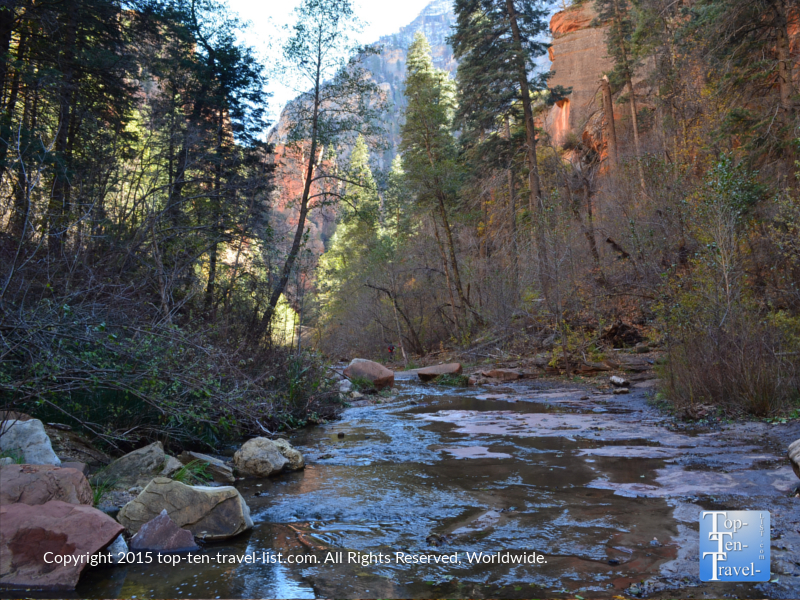 Have you ever hiked the West Fork Trail? 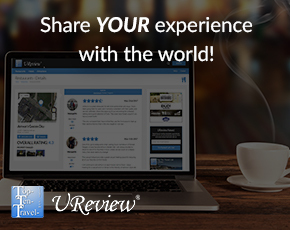 Which season did you visit? 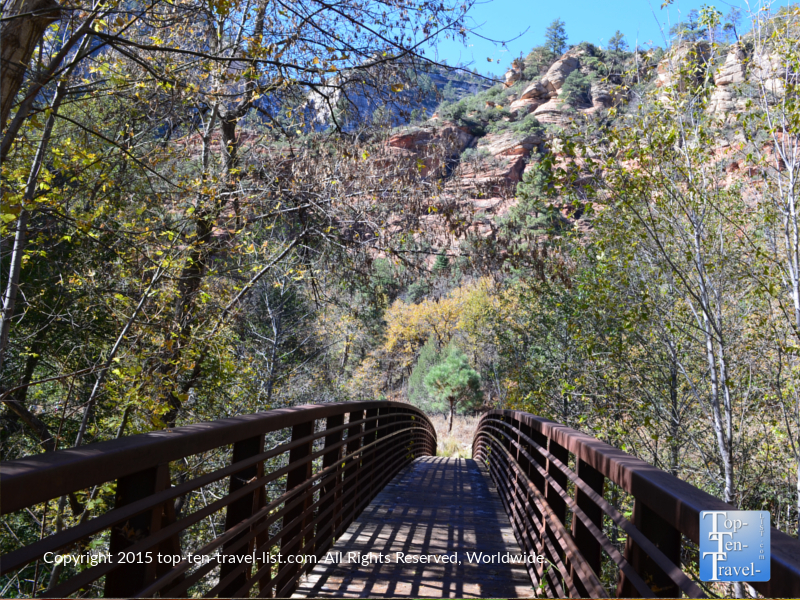 What other hikes would you recommend in Sedona?